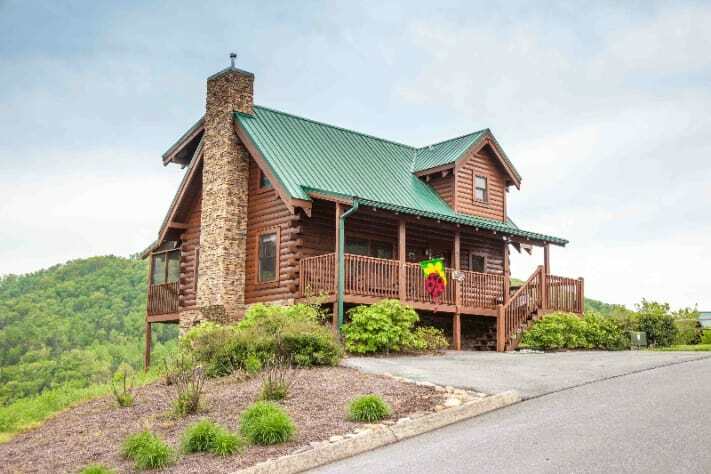 “MOUNTAIN TOP”is an unbelievably beautiful two level fully equipped log cabin. 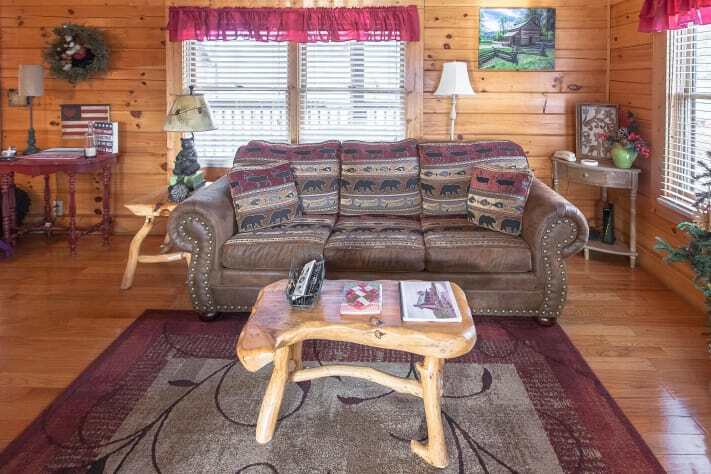 You will be amazed with the creative decorations and craftsmanship of this spacious 1096 square foot 1-bedroom, 1.5-bathroom upscale cabin. Guests are always excited about the easy access location. 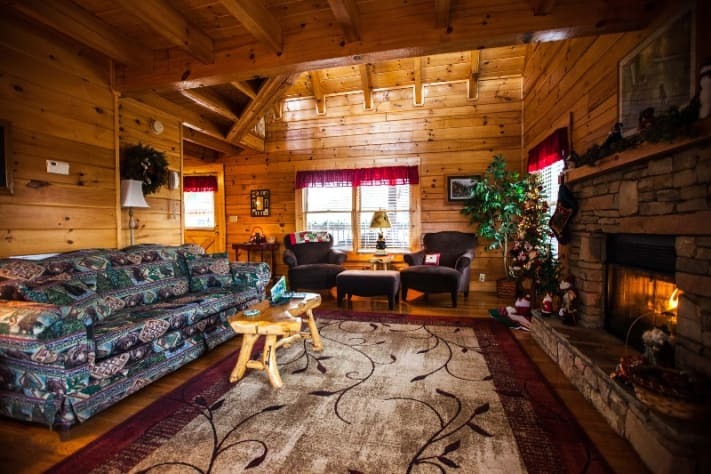 This quiet, serene mountain cabin is located off Wears Valley Road (turn west at stop light #3) just two short miles from The Parkway in Eagles Ridge North Resort. 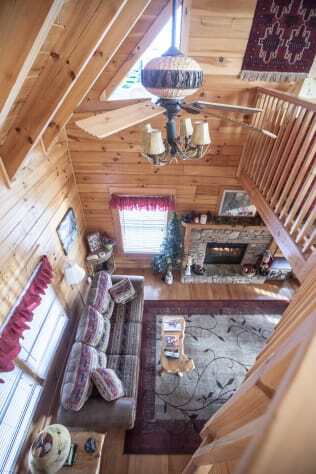 Make “Mountain Top” your vacation destination and enjoy the cozy yet spacious living room area with an open-air design including the great room, fully equipped kitchen, dining area and half bath. 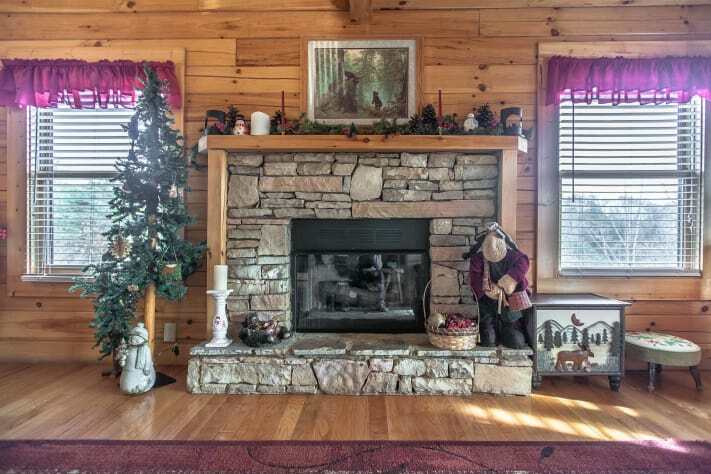 You might want to just have an easy conversation or curl up with a book in front of the warm, stacked stone fireplace. A queen sleeper sofa is provided so Mountain Top can accommodate up to a total of four guests including children, in-laws or friends. For your convenience a microwave, toaster, coffeemaker, blender, silverware, quality cookware and linens are provided. “Mountain Top” has it all; you just need to bring the food and appetite. If you decide to go out and enjoy some of the many restaurants in the area we provide a booklet in the cabin that list our favorites. One that we forgot to list was Krispy Crème Donuts, but that should be understood. 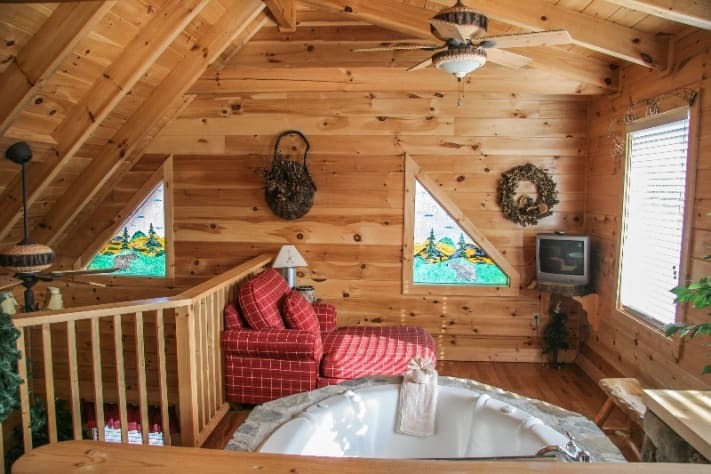 In the private and spacious master suite you will find a sturdy king sized log-framed bed, as well as a luxurious stone trimmed Jacuzzi for two. This upper level master has an attached bathroom and is equipped with a ceiling fan, TV, telephone and clock radio. 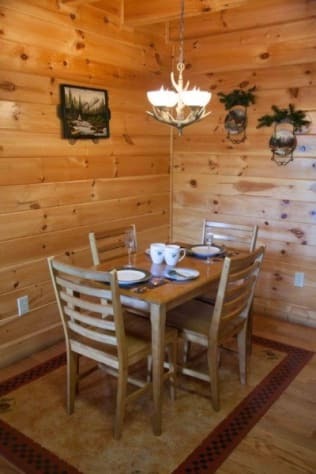 If this is going to be a working vacation our cabin provides WIRED and WIRELESS INTERNET ACCESS, so bring your laptops. 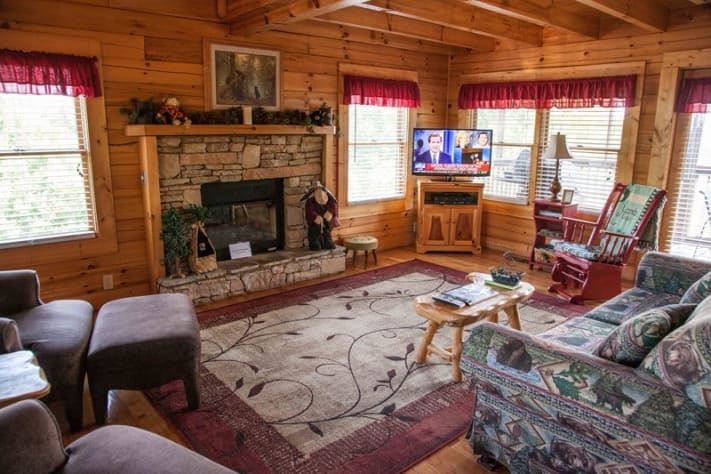 Watch a game or movie on one of the TV’s or just relax after a busy day in the Smokies. 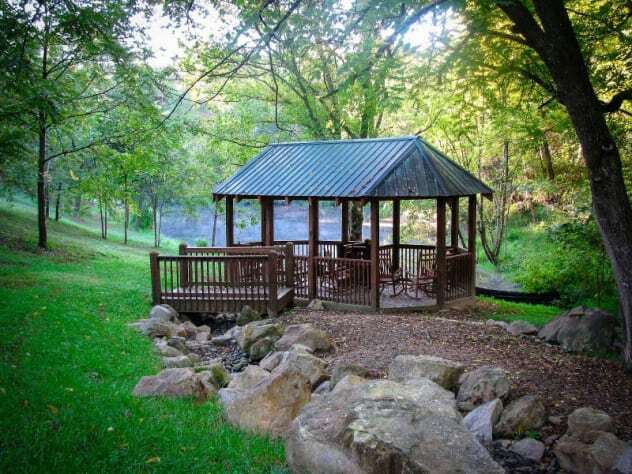 Spend some quality time on the peaceful deck and porch in one of our glider and breathe in fresh mountain air. 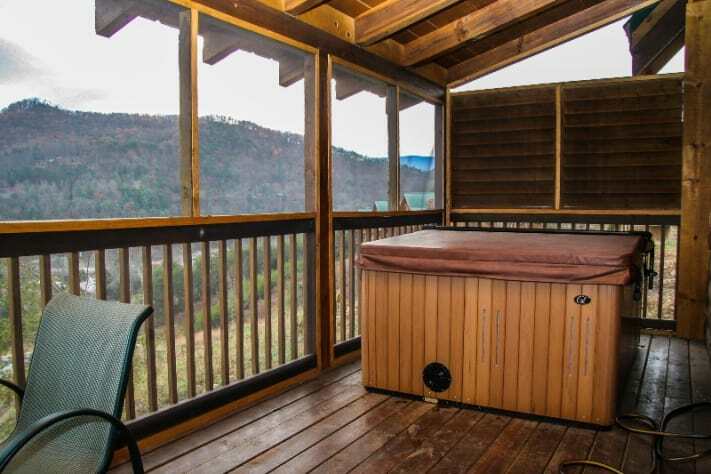 Enjoy the serene panoramic views while soaking in the bubbling hot tub on the screened-in deck with a privacy wall. 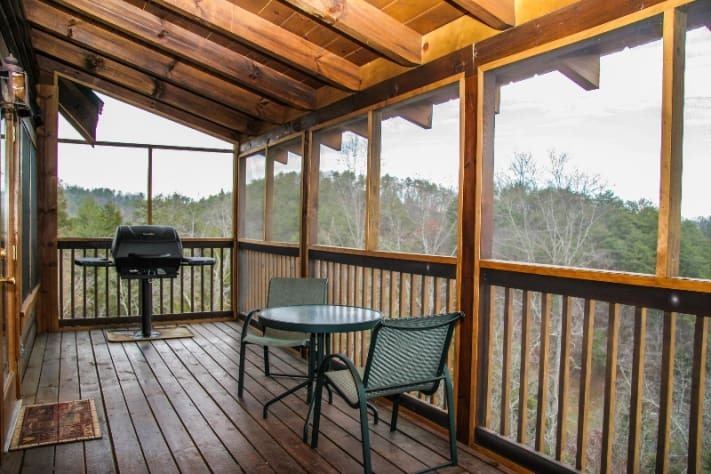 Try your hand at grilling a delicious meal and eating outside while enjoying the views. 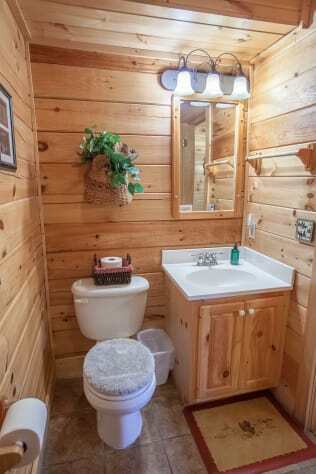 This cabin was created for you and made to please! We hope you enjoy your stay at our smoke-free, pet-free cabin. 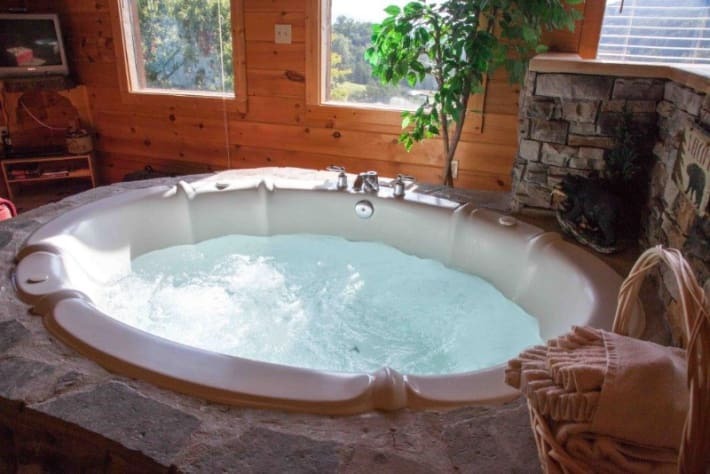 “Mountain Top” is perfect for your honeymoon, anniversary, or romantic weekend getaway in the Smokies. Come visit Dollywood, the Great Smoky Mountains National Park, Gatlinburg, outlet malls, dinner theaters, lots of restaurants, and much more. Fantastic cabin close to everything! The cabin was lovely. It is beautifully maintained and very clean. It is centrally located to the parkway and it's many attractions. Very clean. Good location. Lots of amenities. Very great cabin for the price. We loved it! Was a cute little cabin. Very close to everything. Enjoyed our stay! Beautiful! 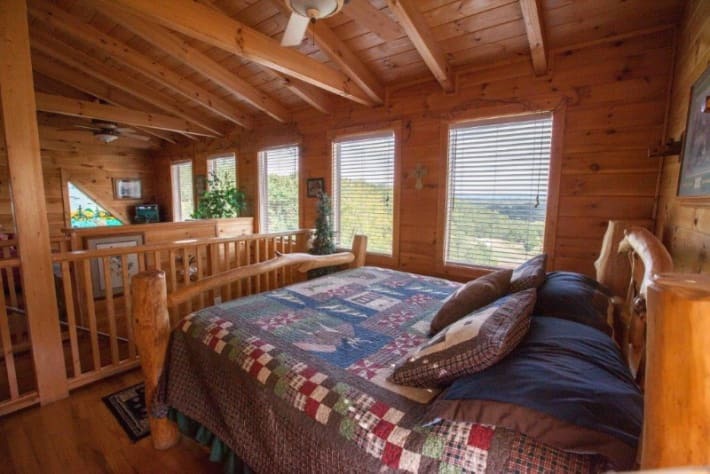 Best cabin experience in Tennessee! We spent six nights in this cabin over the holidays and loved every minute of it. 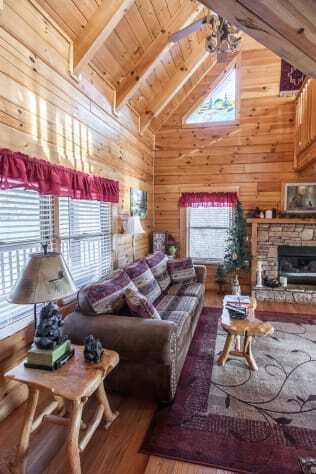 The cabin is immaculate - clean, well decorated, and personal touches throughout that made it so warm and inviting. I cannot say enough great things about this property. The location is perfect - less then five minutes from everything on the strip. The beds were comfortable and the kitchen was well stocked. The netflix and Nest* thermostat were nice touches. We enjoyed the hot tub everyday. The cabin offers a great view too! 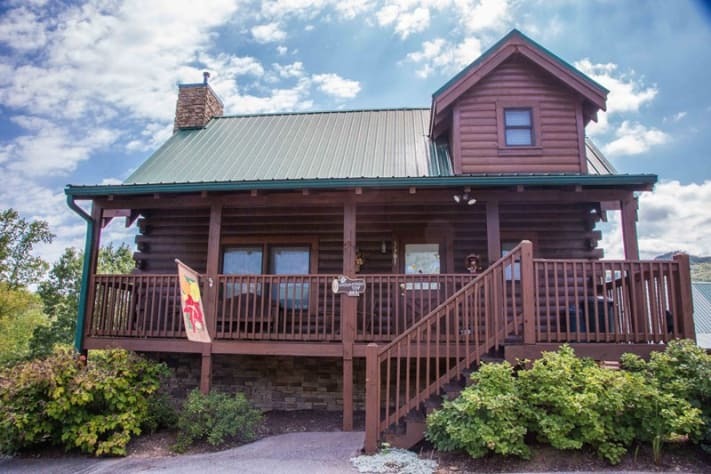 We have been coming to Pigeon Forge for many years and this is the nicest cabin we have ever stayed in! I look forward to staying here again. Owners/agency is excellent to work with as well - look forward to our return visit! Very nice layout and it had items we forget to bring. Looking to get this cabin in the future. Property was located to where anything we needed was only a few minutes away. I believe our food would have been furnished if they knew what we ate. Nice view and we will return. Clean and cozy cabin with a beautiful view! 5th wedding anniversary trip-This was our first time to come to the Smokies and we enjoyed every minute of it! 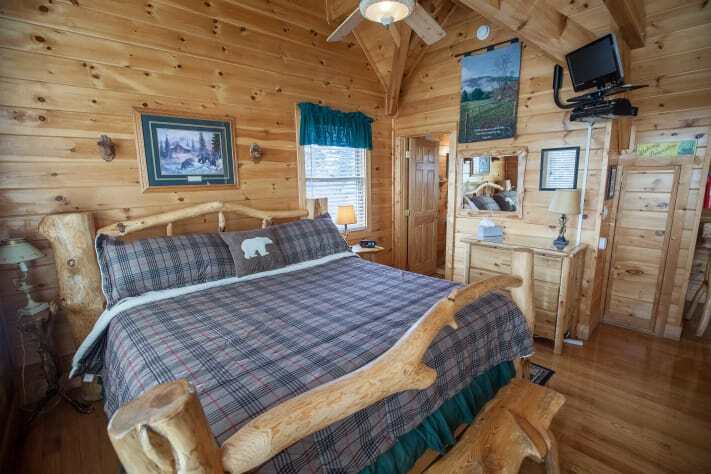 The location of this cabin is perfect and we were able to get to the surrounding cities so easily. We enjoyed the hot tub and jacuzzi every night. We will definitely be back here! Perfect for our honeymoon! Great location! My husband and I stayed here for our honeymoon. It was such a great trip! We did activities in pigeon forge and Gatlinburg. It was such a short drive. Our favorite things were definitely MagiQuest and Anakeesta! There wasn’t a lot of communication with the owners, but it also wasn’t super necessary. The cabin was great! Very clean and well stocked. We will definitely be returning! From the moment we set foot on the steps we knew we had found the best cabin that would fit us! This cabin was the best fit for us and it couldn't have been any better of an amazing weekend. Such a cozy and quiet cabin and very convenient to everywhere we wanted to go and visit! Will definitely be back later on to enjoy the cooler weather! 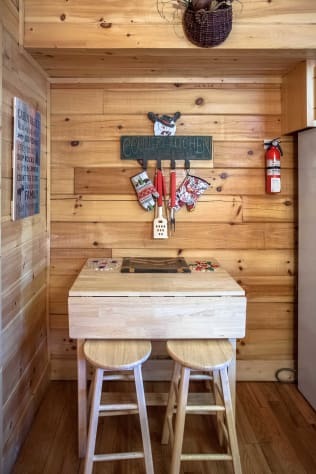 A+ for everything to do with this cabin! 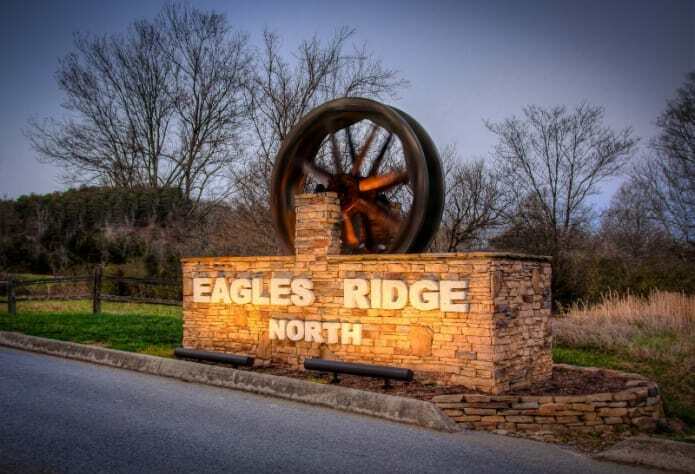 Mountain Top, Pigeon Forge, TN A Great place to relax! 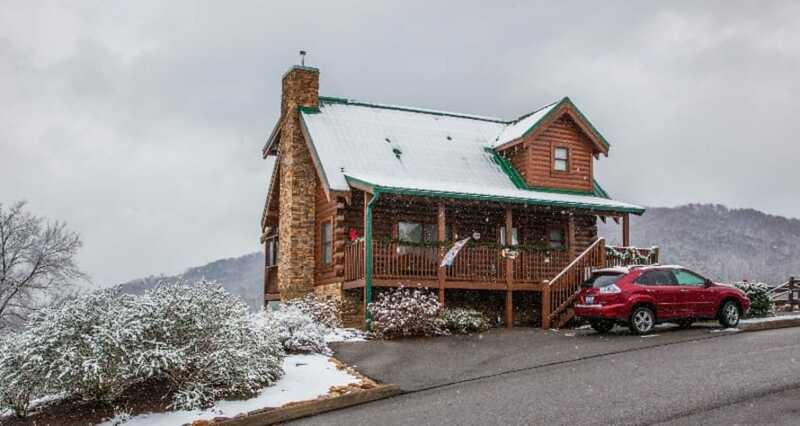 Beautiful little cabin overlooking the Pigeon Forge valley below. Rained every afternoon, but it’s not a big deal it rains everyday this year in PA. too! 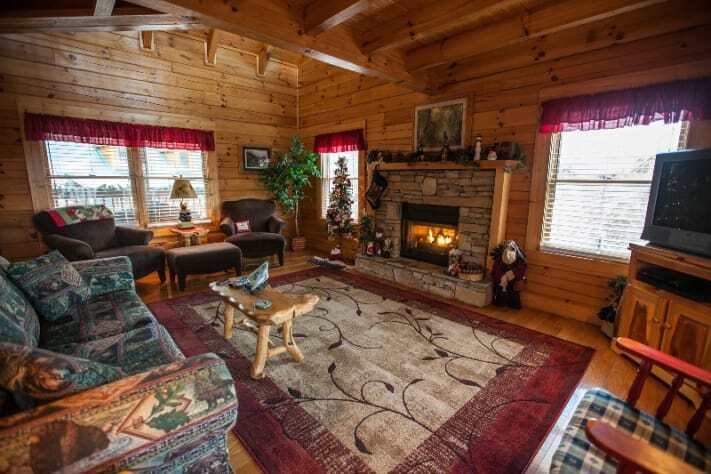 Great location to spend your vacation while visiting Dollywood and the Great Smoky Mountains. 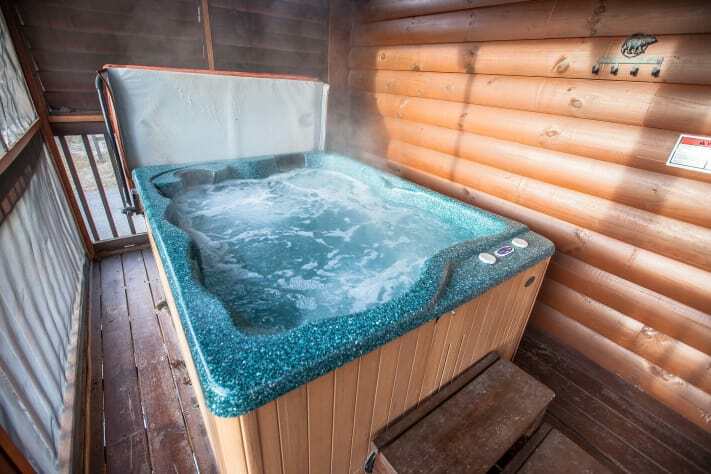 The cabin was clean and very relaxing, hot tub was nice but couldn’t use it due to health issues. Highly recommended when visiting Pigeon Forge, TN! Relaxing, pleasant and quiet. Enjoyed! Loved our stay!!! Beautiful views and beautiful cabin!!!!! So glad we stayed here!!!! Great spot for everything we wanted to do and loved the coziness of the cabin. Felt like home but the view from the porch was worth everything!!!! This property was Amazing ! This cabin was perfect for me and my wife. We loved our stay at Mountain Top cabin. The house was clean and in a very good area. It was located close to everything that we planned to do . This was a wonderful cabin...actually beyond any expectations. Super convenient location, comfortable, and CLEAN! I will keep this cabin on my wish list for a return visit. The overall property was great and very clean! We had a great time staying in the mountain top. It is conveniently located in a very good spot and didn’t have one complaint about our stay! Very friendly owners. Nicly decorated. Very relaxing stay and an overall just nice place to stay for the week especially for the price. We loved this cabin! It was very clean, cozy and perfect for a couple! It was close to everything. Will defiantly be planning another trip back! My daughter and I had a great time at this cabin. It was stocked with everything we needed. It's so close to all the action, but you hit minimal traffic to the cabin once you get off the strip. The reason I didn't give it a 5 star rating is because the hot tub filter wasn't cleaned or attached, so I took care of it....and unfortunately there is a parental control access number on the TV so I wasn't able to watch TWD on Sunday. I would stay there again nice get away cabin. 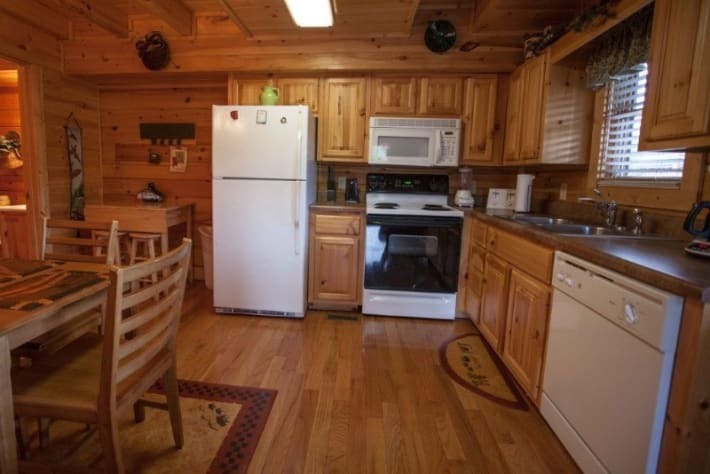 Small and cozy cabin with all you need to have a great time away, very close to the strip but off the road away from noise and traffic. We stayed the weekend of 3/15-18. Wonderful cabin! Great location. Clean. Had everything we needed. Only feedback would be for housekeeping to set the hot tub at a higher temperature. When we arrived the hot tub temperature was 65 degrees but they had just finished cleaning and adding water. It didn't heat up until the next day. But otherwise great stay! First impression was nice. There were a few other cabins around but very quiet and private. Cabin was everything I hoped for. Not one complaint. Very clean, warm and cute. And the view and location is perfect too. Thank you owner for a wonderful extended weekend away from home. Hope to visit again soon!!! Perfect for a couple. We loved it. The cabin was perfect for a couple. Great location. We loved it. Where can we find FAQ?